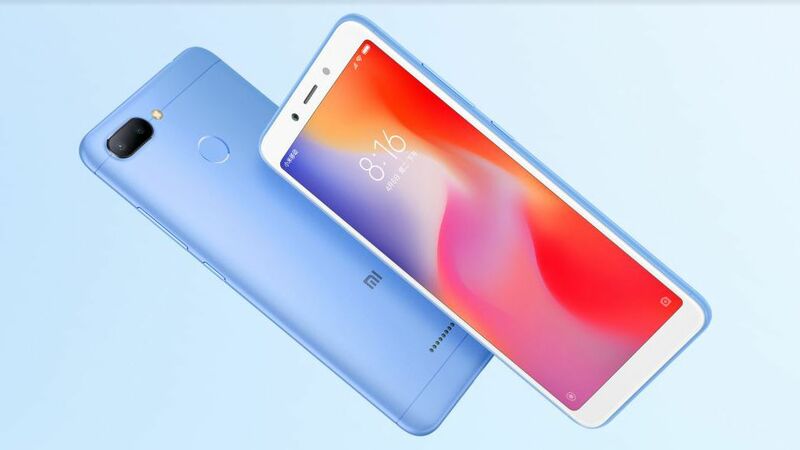 Xiaomi launched three new smartphones – Redmi 6, Redmi 6A, and Redmi 6 Pro in India today. The new budget Redmi 6 series smartphones are the successor to last year’s Redmi 5 series. The company has already launched these smartphones in China a few days back. 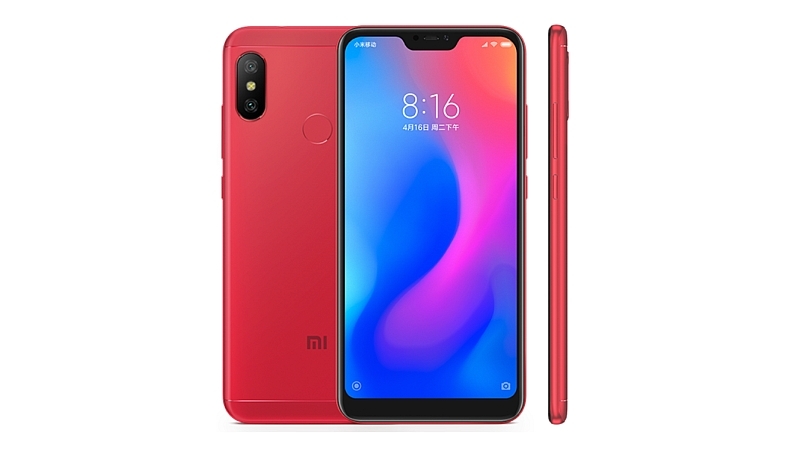 Xiaomi‘s new phones Redmi 6 and Redmi 6A are mostly similar in terms of design with the 18:9 display, while the Redmi 6 Pro sports a notch 19:9 display. The Redmi 6 and Redmi 6A are the first phones with new MediaTek processors, while Redmi 6 Pro is powered by an old Snapdragon 625 chipset. 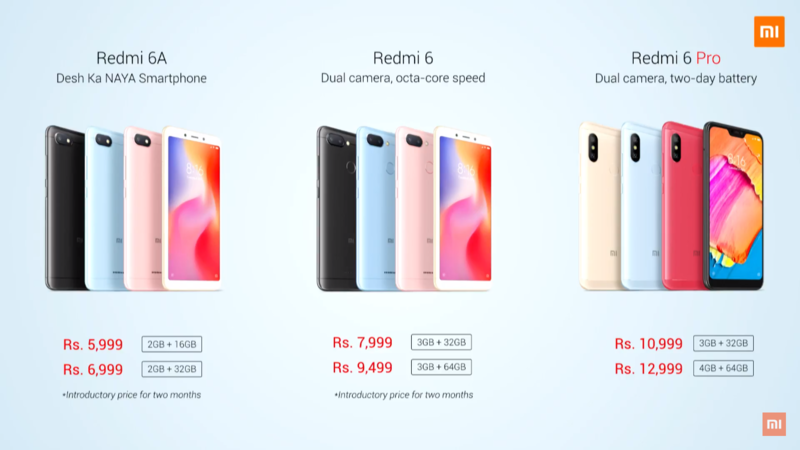 The Redmi 6 price in India starts at Rs. 7,999 for the 3GB RAM/32GB storage model while the 3GB RAM/64GB storage model is priced at Rs. 9,499. It will go on sale on September 10 via Mi.com and Flipkart. The Redmi 6 Pro buyers will also get Rs. 500 off on purchasing with HDFC cards. 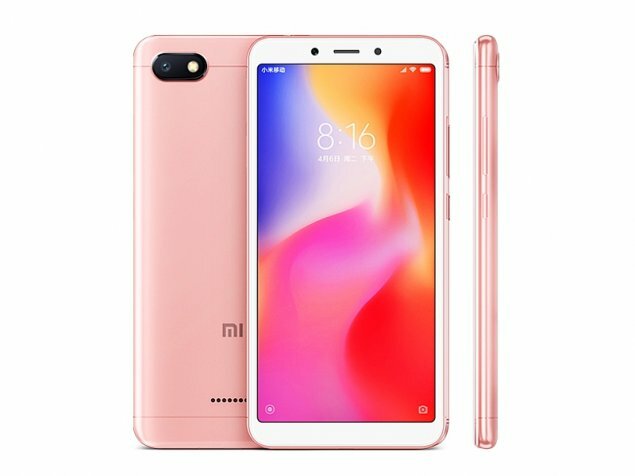 The Redmi 6A is priced at Rs. 5,999 for the 2GB/16GB model and Rs. 6,999 for the 2GB/32GB model. It goes on sale starting from 19 September via Amazon.in and Mi.com. Lastly, the Redmi 6 Pro price in India starts at Rs. 10,999 for the 3GB RAM/32GB storage variant. While the 4GB RAM/64GB storage model costs Rs. 12,999. It will go on sale on September 11 via Amazon.in and Mi.com. You will also get Rs. 500 off during the first sale of Redmi 6 Pro if you buy using HDFC cards. It is to be noted here that all these are just introductory prices and these are only for a few months. Also, for availability, all the Redmi 6 series phones will also be available via offline Mi home stores and Mi partner stores as well. The Redmi 6A sports a 5.45-inch HD+ (720×1440 pixels) display with 18:9 aspect ratio. It is powered by a quad-core 12nm MediaTek Helio A22 processor mated with 2GB RAM and 16GB or 32GB storage options which are expandable up to 256GB. In the camera department, the Redmi 6A sports a single 13MP rear camera with f/2.2 aperture and PDAF. There is a 5MP front camera with Portrait mode and AI beatification. It also supports AI face unlocking. Connectivity options on the Redmi 6A include dual 4G VoLTE, Bluetooth 4.2, Wi-Fi 802.11 b/g/n (only 2.4GHz), GPS and Micro-USB. Sensors onboard include an accelerometer, ambient light, digital compass, and proximity sensor. The phone packs a 3000mAh battery. The Redmi 6 sports a 5.45-inch HD+ (720×1440 pixels) display with 18:9 aspect ratio. It is powered by a 2GHz octa-core 12nm MediaTek Helio P22 processor paired with 3GB of RAM and 32GB or 64GB of inbuilt storage that is expandable via microSD card up to 256GB. In terms of camera, it sports a dual camera set up at the back with a 12MP primary sensor with 1.25-micron pixels and a f/2.2 aperture and a 5MP secondary sensor. It also features Portrait mode and EIS for videos. Up front, there is a 5MP selfie camera with f/2.2 aperture, 1.12-micron pixel, and AI beautification features. It also has AI face unlock support. Connectivity options on the Redmi 6 include Dual 4G VoLTE, Bluetooth 4.2, Wi-Fi, GPS/ A-GPS, 3.5mm headphone jack, and Micro-USB. It has an accelerometer, ambient light sensor, digital compass, gyroscope, infrared, proximity sensor and a back-mounted fingerprint scanner. The Redmi 6 is powered by a 3000mAh battery. The Xiaomi Redmi 6 Pro sports a 5.84-inch FHD+ (1080×2280 pixels) display with 19:9 aspect ratio. It is powered by an octa-core Snapdragon 625 processor with up to 4GB RAM and 64GB storage, and the storage is expandable up to 256GB via a dedicated MicroSD card slot. The Redmi 6 Pro also sports a dual rear camera setup just like Redmi 6. It comes with a 12MP primary sensor with 1.25-micron pixels, f/2.2 aperture, PDAF and LED flash and a 5MP secondary sensor. There is a 5MP front camera with AI Portrait mode support. It also supports AI face unlock features and has a fingerprint sensor on the back as well. Connectivity options include dual 4G VoLTE, Wi-Fi 802.11 a/b/g/n, Bluetooth v4.2, GPS/ A-GPS, Micro-USB, and a 3.5mm jack. The Redmi 6 Pro gets a massive 4000mAh battery. It has all the necessary sensors including an accelerometer, ambient light, digital compass, gyroscope, infrared, and a proximity sensor.